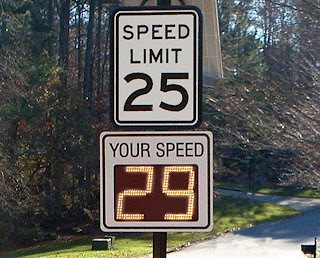 Radar speed limit signs (also called “driver feedback signs”) prompt speeding drivers to slow down. The signs detect and display a speeding driver’s velocity. This active feedback makes drivers aware of their speed.